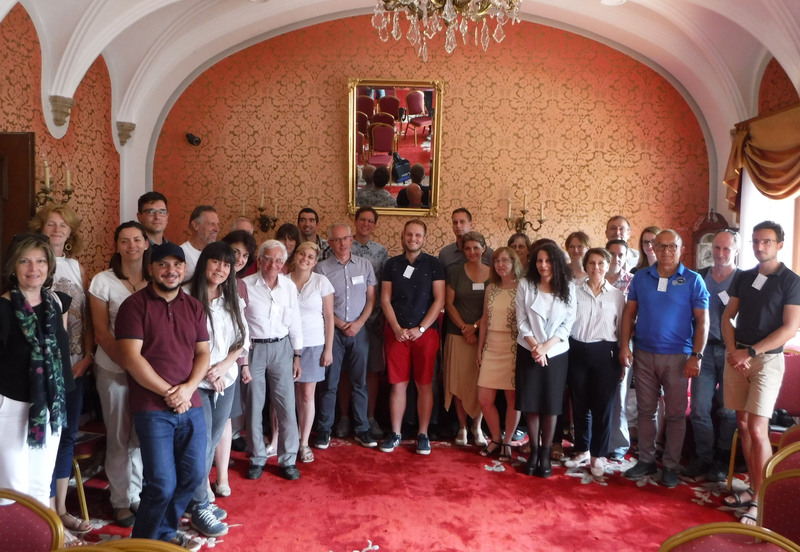 The 42nd Conference of the International Association for Danube Research (IAD) was held on 2-6 July 2018, in Smolenice, Slovakia. The Conference celebrated 62 years of Danubian cooperative research in the framework of IAD and was entitled ‘Danube – A lifeline governed by multiple uses, pressures and a multitude of ecosystem services’. The conference was organised by the Institute of Geography at the Slovak Academy of Sciences, the IAD General Secretariat and the Slovak Limnological Society, under the Patronage of the Vice President of the Slovak Academy of Sciences Dr. Pavol Siman. Invasive alien species (IAS) were reported as one of the nine key pressures in the Danube River Basin caused by human activities within the keynote lecture of Dr. Jürg Bloesch entitled ‘Danube under pressure – A personal analysis’. Invasive alien species have been considered as an increasing problem due to excessive transport and travel, as well as climate change. Another keynote lecture given by Teodora Trichkova focused explicitly on the IAS issues in the Danube Region: ‘Invasive alien species in the Danube Region and DIAS activities towards strategy development’. The lecture gave some background information on IAS and related initiatives at European and regional level. It presented recent projects and outcomes, including publications, as well as networking activities and scientific events organised in the frames of DIAS and ESENIAS. A special emphasis was given to the development and structure of the DIAS strategy. The DIAS future steps and planned activities were also presented. Furthermore, there were several IAS case studies reported at the conference. Dušanka Cvijanović talked about ‘Pistia stratiotes L. 1753 – an emerging invader in Serbian rivers?’ by Ana Anđelković et al. Her talk was on the first finding of P. stratiotes (water lettuce) in the running waters of Vojvodina Province in Serbia – the Begej River near Srpski Itebej, close to the Romanian border, in October 2017. Until this record, P. stratiotes, which originates in the tropical and sub-tropical regions, was reported only from thermal waters of south-eastern and southern Serbia. As this plant species has been currently found only in single countries in the Danube Region and ESENIAS countries, this record needs attention and urgent actions in order to prevent the species further spread in the running waters of Serbia and the region. Stefan Kazakov presented the poster ‘Distribution of Eurytemora velox (Copepoda, Temoridae) in the Danube River and new data from Bulgaria and Hungary: Is it an invasive or non-invasive alien species in the Danube?’ by Anita Kiss et al. 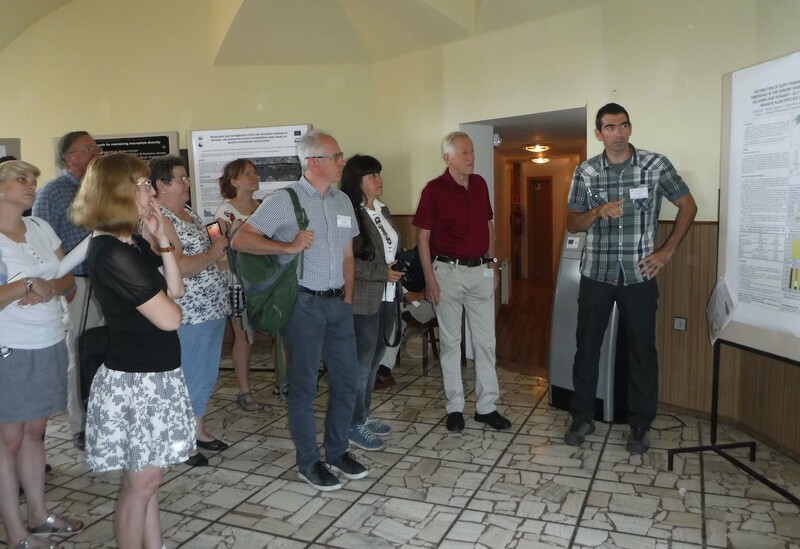 He gave information about the distribution and abundance of E. velox, an originally saltwater Copepoda species, in the Bulgarian and Hungarian wetlands, and discussed its present status. Another poster was presented by Srđan Subotić: ‘Length-weight relationship and condition of three goby species in the Danube River near Slankamen (Serbia)’ by Jasmina Krpo-Ćetkovićet al. This study dealt with life-history traits of three Pontic-Caspian goby species considered invasive in Serbia, namely, the monkey goby (Neogobius fluviatilis), the round goby (N. melanostomus), and the racer goby (Babka gymnotrachelus). A conference excursion was organised with visits of the regulated Váh River, Gabčíkovo Dam, and the old Danube River Channel. The fluvial geomorphological changes due to human activities observed during the trip have caused considerable changes in the biota and most likely facilitated the introduction and spread of certain invasive alien species in the Danube River Basin. The contributions from the conference were published as short and extended abstracts in a Book of Abstracts and the journal Geomorphologia Slovaca et Bohemica, Issue 1/ 2018 (http://www.asg.sav.sk/gfsb/home/index.php).